Maybe your website isn’t as embarrassing as The RA, but how easy is it to navigate on your mobile? Do you need to pinch and zoom and pan and scale? If you do, then so do your visitors. And that’s awkward. It could be losing you business. We crossed a tipping point last month. According to research from Capgemini, 52% of visits are now from mobiles or tablets. If your site isn’t built with mobile in mind, you risk turning away customers. 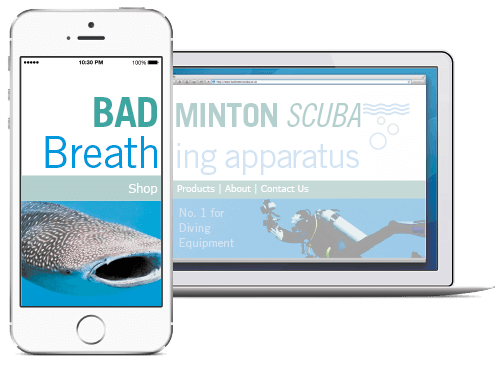 With a Nettl :one site, get a website that works on mobile, tablet and desktop in one. Today, is a sad day, because we’ve reached the final font in our Free Font Friday giveaway! But, it’s also a good day, because we’ve saved the best free font for last! 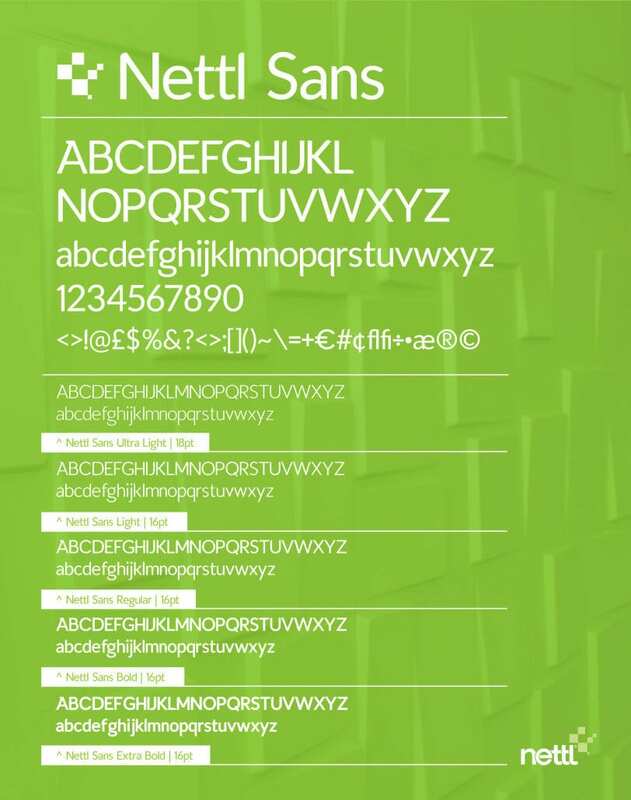 Nettl Sans is the Crown Jewels of our font collection. We loved it so much, we decided it should have a catchy name that everyone will remember! Use Nettl Sans however you’d like, it’s completely free of charge and can be used for your in-house stuff as well as for clients commercial work. Give it a download and try, you know you want to! We’ve attached this brand new free font in OpenType (OTF) format for use on your Mac or PC as well as it also includes webfonts in TTF, SVG, EOT and WOFF formats, suitable for use on your website. We’re a little emotional our new font is ready to be released into the wild, but you can help make it easier for us by sharing this with your friends, family and countrymen on Facebook, Twitter, Google Plus or whatever. Nettl Sans is yours to use however you like. So feel free to pop it on a poster, lay it out on a leaflet, drop it on a door hanger or erm… wow with it on a website for yourself or a client. It’s free… forever. We like to do this sort of thing for our friends, we’re nice like that. We also usually get the first round in the pub or offer to sing the first song at karaoke. So go on, use the free font Nettl Sans, and when you do, think of us. This is the last free font for now, but we’ll be back with other free goodies soon! Nettl Sans is licenced under the Creative Commons Attribution v3.0 Licence which allows you to use it for any purpose, even commercially. We’re here people, the penultimate font of our Free Font Friday. Next week is something really special that we can’t wait to give away, but we must! So as to not leave you disappointed, we’ve cooked up this snazzy little number. SciFly is great for a multitude of different uses. By downloading the above link, you’re treating yourself to a new font in OpenType (OTF) format for use on your Mac or PC. It also includes webfonts in TTF, SVG, EOT and WOFF formats, suitable for use on your website. Before you say it, we know, we are too kind. 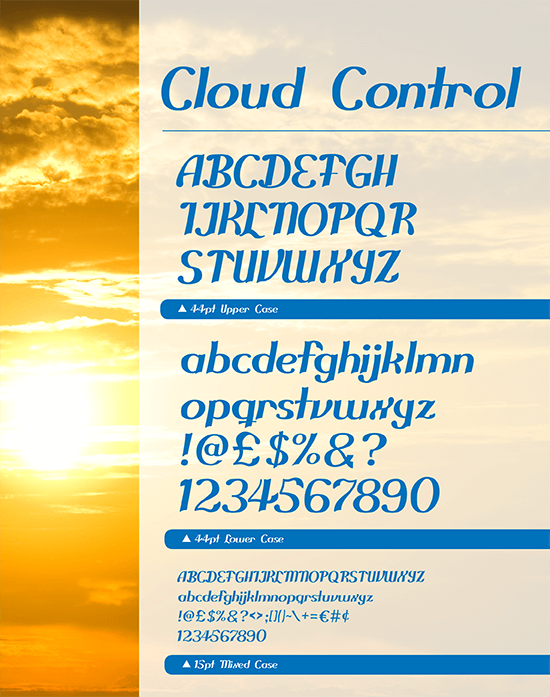 Cloud Control is yours to use however you like. So feel free to pop it on a leaflet, online or for your clients new company. It’s free… forever. You lucky, lucky things. Take a look at what you’re treating yourself to. Cloud Control is licenced under the Creative Commons Attribution v3.0 Licence which allows you to use it for any purpose, even commercially. According to figures released by IMRG and Capgemini, September this year was the point when more websites were visited on mobiles than using desktops. The data shows 52% of all traffic to the retail sector came from Smartphones and tablets, meaning that its more important than ever to make sure your businesses website adapts for mobile use. Wow, that’s an embarrassing website. Is your website letting you down by not adapting for all types of viewing media? 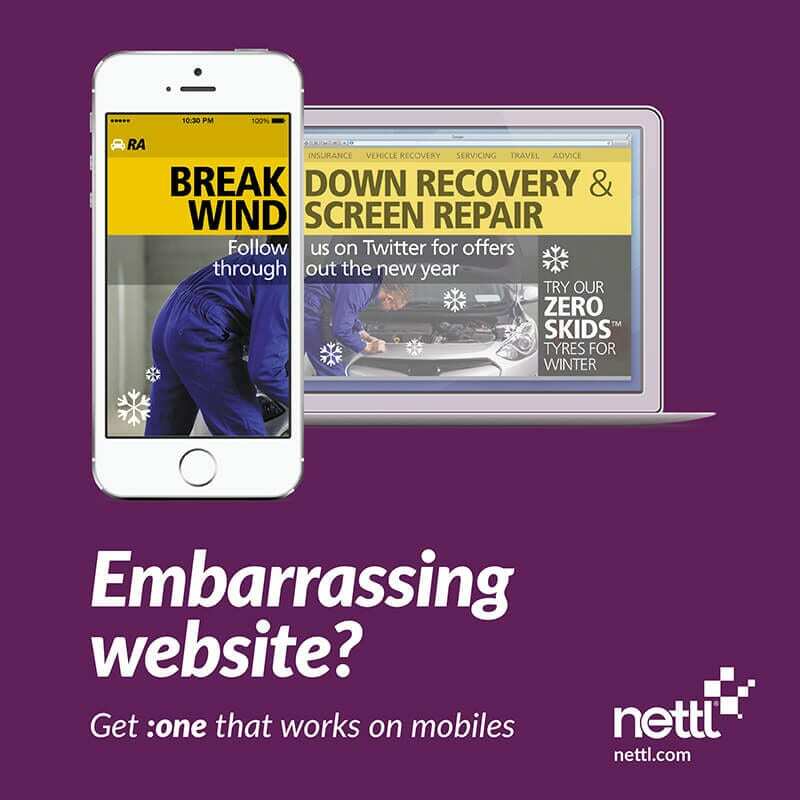 At Nettl, we make all our websites mobile or ‘responsive’ first, so you’ll never be left embarrassed by how your site views on a Smartphone or tablet. We have studios in Manchester, Birmingham, London and Dublin, so get in touch with your nearest studio to arrange a free 1 hour consultation on your site. So why not make sure your site is a mobile website and not an eyesore. Maybe your website isn’t as embarrassing as James Lowes, but how easy is it to navigate on your mobile? Do you need to pinch and zoom and pan and scale? If you do, then so do your visitors. And that’s awkward. It could be losing you business. Wow, is it Friday already? Well that can mean only one thing. We’re giving away another font for you to use on desktop and web, completely free of charge. By downloading the above link, you’re treating yourself to a new font in OpenType (OTF) format for use on your Mac or PC. It also includes webfonts in TTF, SVG, EOT and WOFF formats, suitable for use on your website. Before you say it, we know, we are too kind. Cloud Control is yours to use however you like. So feel free to pop it on a leaflet, online or for your clients new company. It’s free… forever. You lucky, lucky things. Take a look at what you’re treating yourself to. Don’t thank us, pay it forward!